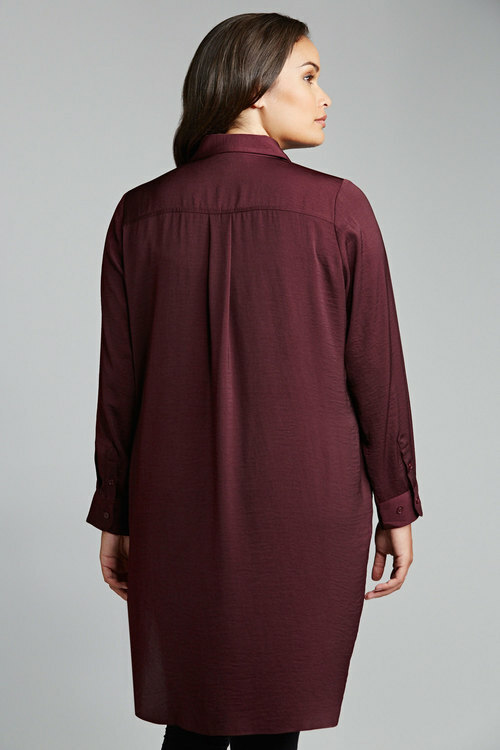 Sara brings us effortless everyday elegance in the form of their Relaxed Longline Shirt. Crafted from sleek hammered satin, this sophisticated design is as easy to maintain as it is to wear. Available in chic black, deep merlot or rich petrol, this stunning shirt is perfect for year-round wear. We’ll be wearing ours with leather look leggings and ankle boots. 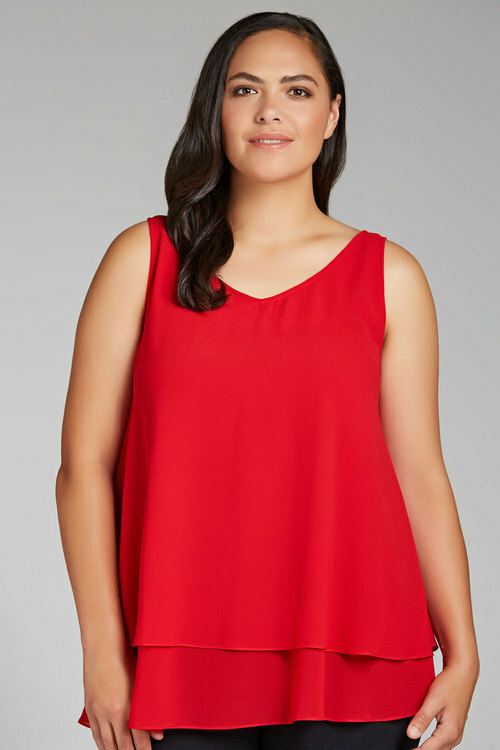 Sara makes refined, feminine styling easy with the Smart Tank, an effortlessly chic piece featuring two layers of floaty chiffon. 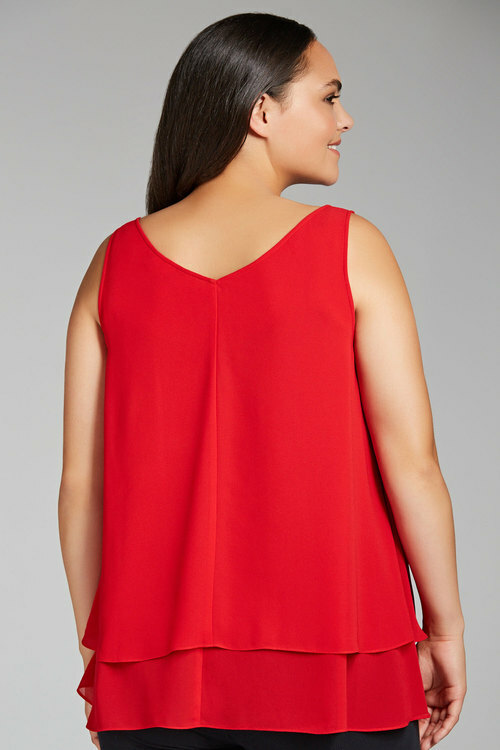 Lightweight and durable, the Sara Smart Tank is machine-washable and perfect for layering. The flared hem drapes down over the body in a figure-flattering way, with a V neck that will look great with your favourite necklace. Such a modern and minimalist piece, this tank looks fantastic paired with distressed denim for that off-duty vibe, or with tapered black trousers and court heels for an easy desk-to-dinner outfit. 100% nylon tulle. 100% polyester lining. We just can’t get enough of the Sara Embroidered Skirt, available in two feminine designs that are so beautiful, you won’t be able to buy just one. Crafted from nylon tulle, this skirt is lined and features intricate embroidery all over. Such a stunning piece needs little styling help. Pair with a 3/4 sleeve knit top and court heels for a simple, refined and polished look.